Enjoy a line-up of Australian music greats on the grounds of the iconic Jimbour Station. 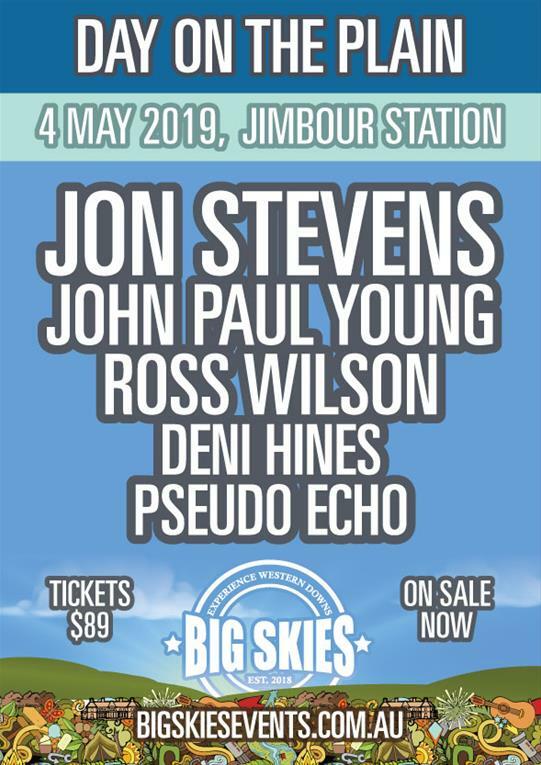 Join John Paul Young, Ross Wilson, Deni Hines, Pseudo Echo, Jon Stevens and thousands of other music fans for great tunes, an open air bar and tasty treats behind a one-of-a-kind colonial mansion. Gates open from 12pm with our local supporting acts taking the stage from 12.30pm, followed by the legendary 2019 rock line-up. Don't miss the spectacular fireworks finale from 9.30pm.